My fellow litigators: sometimes you will be so sure that your case strategy will work and that someone else’s suggestion will not. And sometimes you will be completely and utterly wrong. If you do not accept that, you will experience the unnecessary emotional and physical consequences of failing to manage your mind. In this week’s podcast episode I talk about an employment case I worked on a few years ago where, based on statutory and case law, I thought the employer’s defenses were weak and disagreed with the partner’s stubborn insistence that we tender a final unreasonable settlement offer I believed was doomed for rejection. If it was not accepted, I was responsible for handling the trial. I was so irritated and frustrated and had anxiety about trying a case I did not believe in. In the two weeks of settlement negotiations, I started experiencing stomach cramps, waking up in the middle of the night worrying and becoming less productive at work as a result. When I communicated the final offer to my adversary, I silently listened to and internally agreed with the adversary’s frustration with the stubbornness of my client and the partner. Two days later, to my surprise and relief, the adversary called me and told me that the client had accepted the offer. What?! It was over. Now I didn’t need to try the case. Now all I needed to do was draw up the settlement that the partner and employer were completely right about and move on with my life. Although I was practicing mindfulness throughout the entirety of this ordeal, I was mindfully surviving instead of mindfully identifying, disputing and changing my beliefs. My failure to manage my mind led to unnecessary anxiety, physical pain and sleepless nights. We do this to ourselves all the time. We project out a future that hasn’t even happened yet and we put our bodies through the fight or flight response as if we are going to die. 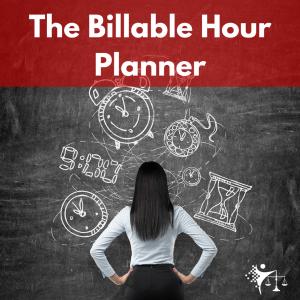 Listen to this episode to see how you can effectively use mindfulness to manage your attorney mind, to accept that you could be wrong, and to just let go and let things happen.